Today after work I went to the Salt Lake City Temple. I love going there, and I used to go every week. This month I’ve rededicated myself to doing that. Going today was a gift to myself and others, and it’s a gift I’m privileged to give and receive as often as I wish. 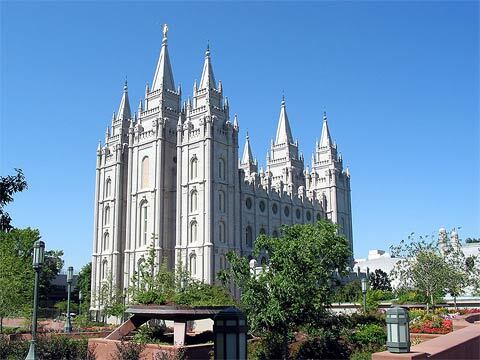 I’m excited to make the temple a natural part of my week again! Then I went home and Stacey and I watched “Big Bang Theory” while scarfing Red Vines. What bliss! This evening after one job, before another, I met up with one of my most favorite old roommates – Darci. We went to NYPD Pizzeria. I’ve been dying to try it! 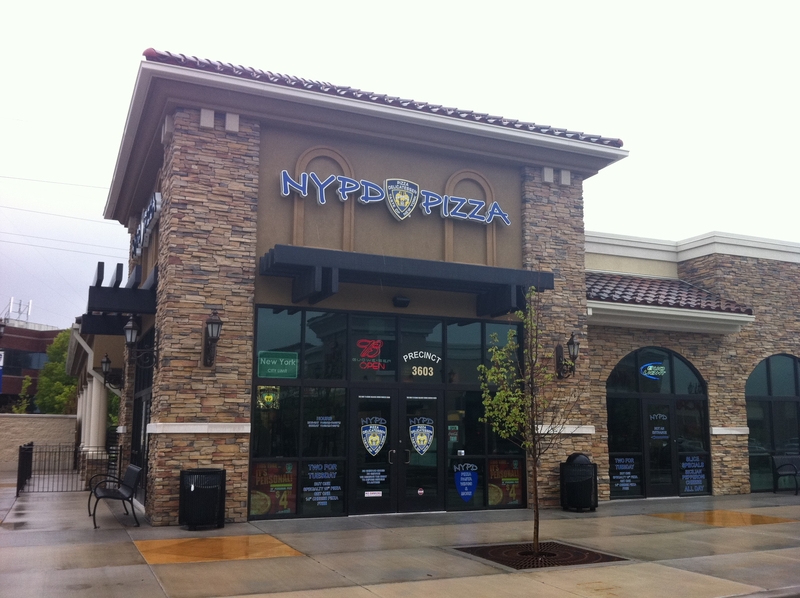 According to their website, “NYPD Pizza was established in 1996 out of necessity when native New Yorker Paul Russo was unable to find authentic New York style pizza after moving to Orlando, Florida. ” I went to New York 2 years ago with my BFF Dawn and our other great friend Cindy to celebrate our 30th birthdays. We tried New York style pizza at 3 different restaurants. (I mean, of course we did!) We loved it! And I have to say that NYPD does an excellent job of fooling you into thinking you really are eating pizza from New York! I say “fooling” because unless they import New York’s tap water – which is actually awesome and the reason baked goods in New York are so awesome – then it’s not truly authentic. But I appreciate their effort, and I really loved it a lot and will go again! I’m back to completing the Escape Plan Challenge and doing little Small Rebellions along the way. I especially want to know what you do to rebel against Adultitis on a daily (or whatever-ly) basis, so please post them here. Thanks for helping me celebrate 32 amazing years and I hope you’ll continue with me on my journey to escape adulthood. I hope you’ll start your own journey as well!